What is it about remote “safe harbors” (North Minerva Reef, in this case)? They are an oasis of calm, yet by their very nature they tend to be both difficult to get into and often equally or more difficult to leave. to jump from Minerva to New Zealand. We reluctantly ran our motor for over 17 hours (out of 2 ½ days, total) the 250+ miles to arrive at North Minerva Reef in the waning daylight. 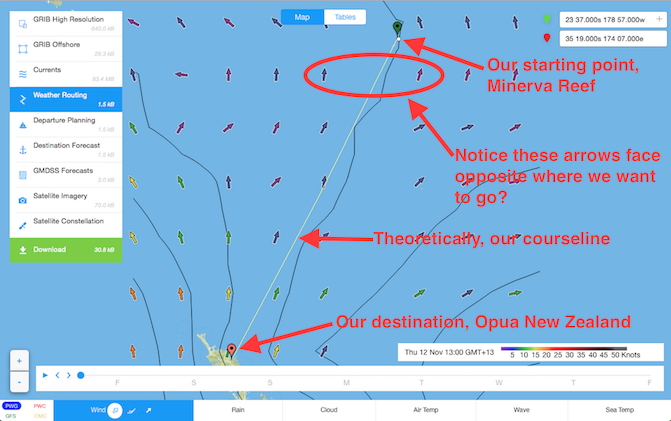 Naively, we thought Minerva Reef would be just an overnight stay, a brief respite out of our 1,000+ mile passage from Tonga to New Zealand. The day we arrived at Minerva we got a little bit of everything – sunshine, skirted storm cell clouds, deluges of rain, dead calm, gentle breeze, “surfing” wind and waves with a reefed main and jib at 7 knots, wind on our nose…. It was particularly nasty as we tucked into Minerva Reef at dusk, fighting with 18-22 knot winds and a current into the narrow pass and the 2 ½ miles across to the other side of Minerva Reef to where our friends on Armagh anchored. our first calm day in Minerva Reef. While there were some brief pleasant periods, overall the weather was downright nasty. 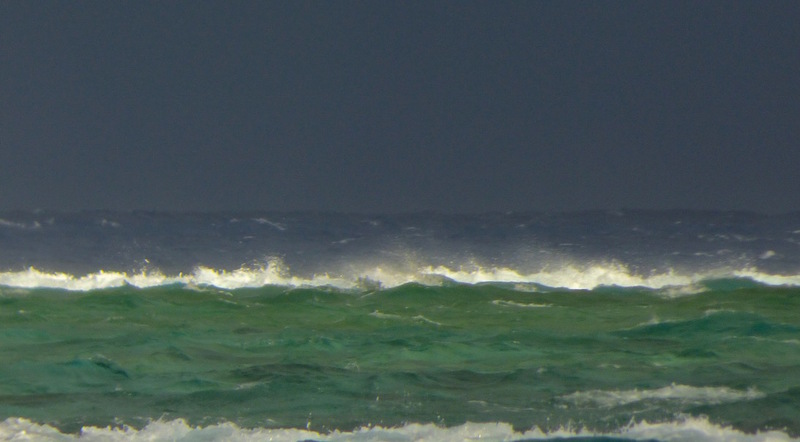 We were grateful for Minerva Reef’s encircling protection against the sure to be nastier open ocean turbulence. Glassy-smooth. Beautiful. What Minerva looks like at 0.0 winds. Thursday night the wind howled, up to 33 knots (Armagh, right next to us, said they read 40 knots). No anemometer (wind meter) photo at peak as during peak gusts Wayne wanted to be able to flick on the engine if needed. That strategic location placed him between me and photo access to our anemometer. from Minerva Reef to Opua New Zealand. Not exactly linear. *Squash is not a sport, a drink or a vegetable in this context. It means nasty weather that occurs between two different weather systems. When you’re sailing, you want to avoid them like the plague whenever possible. The New Zealand area seems to cycle every 6-7 days, which means for a boat traveling at our slow speed -- like ours -- it’s impossible to make it though without getting caught at least once between systems. 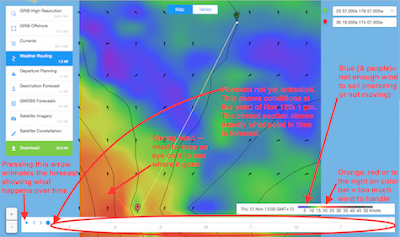 The trick is to pick the weather window where the inevitable squash zones that will impact us the least negatively and ideally help us sail comfortably with minimal use of our motor. We’d like to get to New Zealand as soon as was safely possible -- at the time, we’d targeted an arrival of November 15th with what we thought was enough cushioning to catch a better weather window. Our boat is slow. We couldn’t necessarily go fast enough or re-route far enough to catch the good stuff or to avoid the bad stuff. If leaving earlier meant spending more days sailing than if we waited for better conditions, we’d rather wait (though it took us a while to accept that trade-off). Our fuel supply was enough to last for 3 days of motoring, in an area that might well require that much or more. 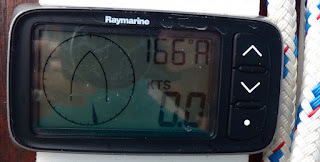 We were perfectly ok with winds as light as 10 knots, as long as they weren’t directly opposite where we wanted to sail. 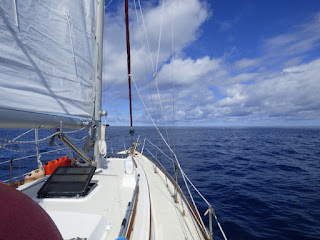 We preferred to avoid winds of 25+ knots if possible, especially if they were directly opposite where we wanted to sail. "At this stage it looks better to wait for a Tuesday departure. At your pace that will avoid the squash zone." what I was most comfortable viewing and analyzing. 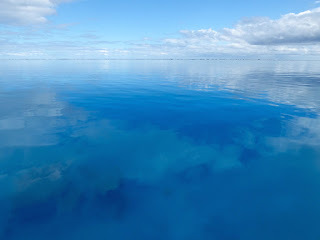 Monday came, and several among our boats “stuck” in Minerva Reef awaiting the best weather window, and making decisions based on differing sources decided to gather round and compare notes. One boat, Tangatatu, got weatherfax printouts. Chris and Megan of Tangatatu wanted to base their decisions on 14 days of data, evaluating trend effects of weather system behavior further out. 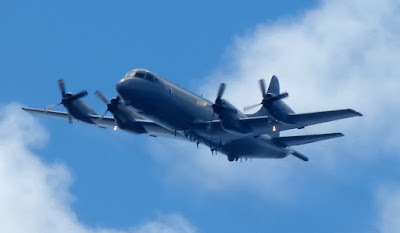 However, they had no SSB data, no satellite data, and a VHF reception so poor that not only could they not get info from boats traveling in their area once underway, we could barely hear them at anchorage. 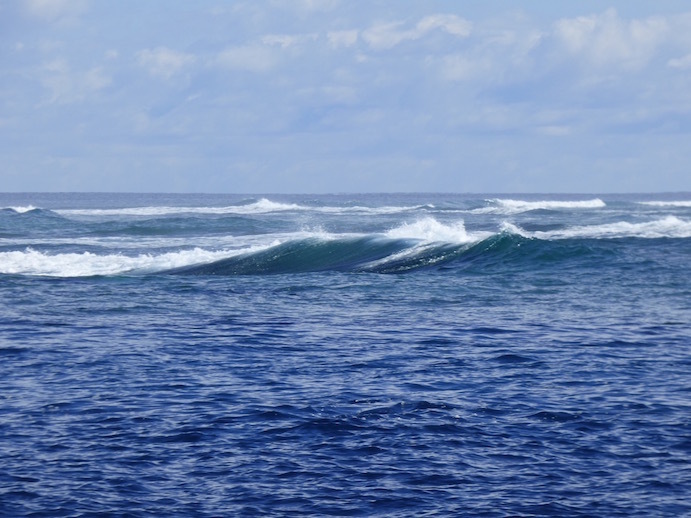 As the odd boat out, anchored the furthest from the rest of us, and the most in need of data before leaving, they dinghied the distance across the reef. Also from Predict Wind, -- a more traditional style weather forecast GRIB, showing wind direction and intensity (more "prongs" at the club for higher winds) with golf-club-shaped icons and background color to also show wind intensity. I find them a little confusing. Another boat, Armagh, got graphical weather forecasting files through their SSB in combination with their Pactor modem, but the data was a day old, there was some confusion on how to factor out how different time zones impacted what was happening when in our time zone. Doug and Joy of Gamble were also trying to use SSB for their weather data, more from information they heard on the net broadcasts (call-ins from boats traveling the same route we were) but were experiencing technical issues accessing it. there wasn't much of the good stuff along our desired route. So we waited. Two of our boats, Armagh (Steve and Patty) and us (on Journey) were getting customized subscription advice from Bob McDavitt, but the questions we asked when acquiring the data influenced his answers as did the difference between our boats. Armagh was by far the fastest boat. The other three boats – including ours -- all traveled about 20 miles less a day than theirs, a significant difference on a multi-day trip. 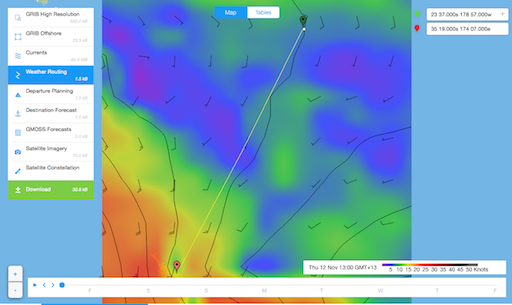 On Journey (our boat), we recently began getting Predict Wind graphical weather forecasting files over our Iridium Go, though were not yet that comfortable with the program. 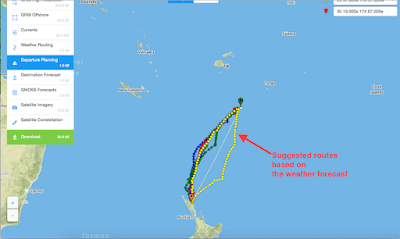 I was asking daily for only a 5-7 day forecast as I didn’t trust the data or my ability to interpret it out further than that, even though we knew it would take us more than 5-7 days to get from Minerva to New Zealand. I figured that’s where Bob McDavitt’s service came in. What we all liked about Predict Wind was it was easy to use, easy to understand, dynamic (animated continuous showing over a span of time the changes as they were expected to occur). With what little experience we had with Predict Wind, it seemed to be more consistent, which gave us the sense it was perhaps more accurate. Eventually, we surmised our biggest gap was sufficiently recent longer-term, 14-day forecasts that we were sure we were interpreting correctly. Fortunately, I brought my Macintosh and my Iridium Go and got an updated forecast for 14 days to Armagh, the host boat. Megan, of Tangatatu, was comfortable in her ability to read and interpret my longer term forecast. Previously I’d been unable to do more than collect screen snapshots of what I wanted from my program to share it with anyone else. Worse, I could only read whatever one forecast I had up. To see past forecast runs, I needed a GRIB reader (software), but figured downloading it wasn’t an option out of normal wifi-land (or what passes for it most of the South Pacific). Nuku’alofa, the closest normal wifi -- was over 250 miles away -- in the wrong direction. is more familiar with. We input data to it from my PredictWind program. Turns out Megan was proficient using ZyGRIB software on the Mac (free application). Patty had a Mac, and even the ZyGRIB software there, but didn’t know how to use it. With a thumb drive, we copied my latest, 14-day forecast from my Predict Wind file, and gave it Patty. 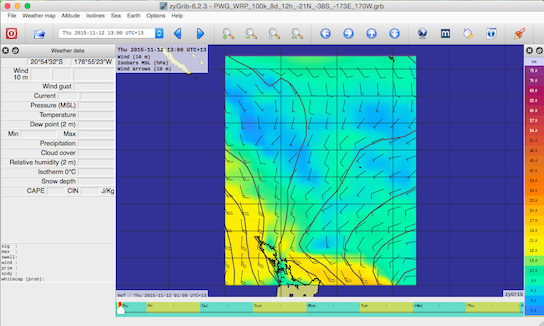 Megan launched ZyGRIB on Patty’s Mac, accessed my Predict Wind forecast on Patty’s Mac. Then Megan downloaded Patty’s ZyGRIB onto a thumb drive, and I installed it my Mac. Viola. I could now access any Predict Wind data runs I’d processed before on my Mac, using a program that Wayne (and Megan) were more comfortable using than Predict Wind. As for me, I’m still a neophyte when it comes to weather forecasting and using it for making optimal sailing plans. 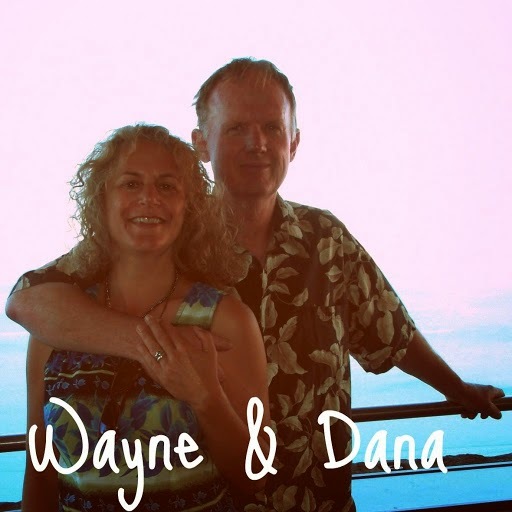 But I do now know how to access what Wayne needs for better planning. The ultimate outcome? 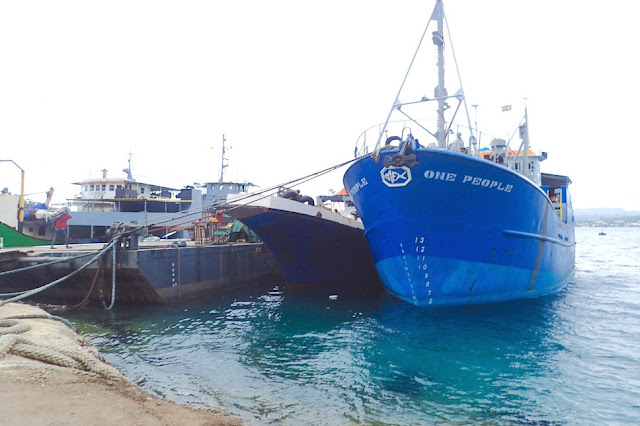 At least 8 people from 4 boats are made a better, more informed decision on when to leave. Yes, we could have left as early as Tuesday November 10th, but instead we left three days later, on Friday November 13th. According to Bob, while we’d arrive later by leaving later, but not 3 days later. Be leaving later, we'd ultimately spend less total time actually on passage. The kicker was instead of an estimated 300 miles motoring with a Tuesday departure, leaving on Friday we expected 250 miles motoring. That 50 mile motoring difference would net out to 10 hours less motoring, giving us an extra half-day safety margin on using our fuel more at the tail end of the trip if we needed it. The maximum we felt we could motor was 72 hours, or about 300 miles. Normally we’d be able to do a bit better, but were experiencing two small fuel leaks which would require parts not available until New Zealand to repair. We also are more comfortable waiting if it means there’s 4 of us boats watching out for each other if something goes awry on a passage long enough for that possibility to be more likely. North Minerva Reef pass upon our exit. When all else is said and done, safety plays the final trump card in our decision-making. This was one case where we beleived the “herd” mentality was a good thing. It just took the right “herd,” with the right tools and skills to work the angles together. We wanted to get to New Zealand by the 15th, or, if not, as soon after that as we could. We’re always a little anxious about longer passages – for me that’s anything requiring at least one overnight sail. We really, really wanted to get this last long passage of this year behind us. Ultimately, though, we wanted to do it safely. just in general think we’re crazy…. We know we take risks. We know much is out of our control and honestly, we’re not that comfortable about that. But we believe our greatest risks are carefully calculated ones. Disasters make much more interesting movies and headlines. Every year, about 10,000 boats are making cruises like ours. Most folks only hear about and most recall the voyages where some serious calamity occurred, not about the vast majority of boats who complete their voyage successfully. The most frequent boat insurance claims are not for passages like the ones we take, but for unattended boats, sitting at the dock, generally catching fire or sinking. Our location for nine days in North Minerva Reed as shown on our chart plotter. The red marks are reefs to avoid inside the reef. 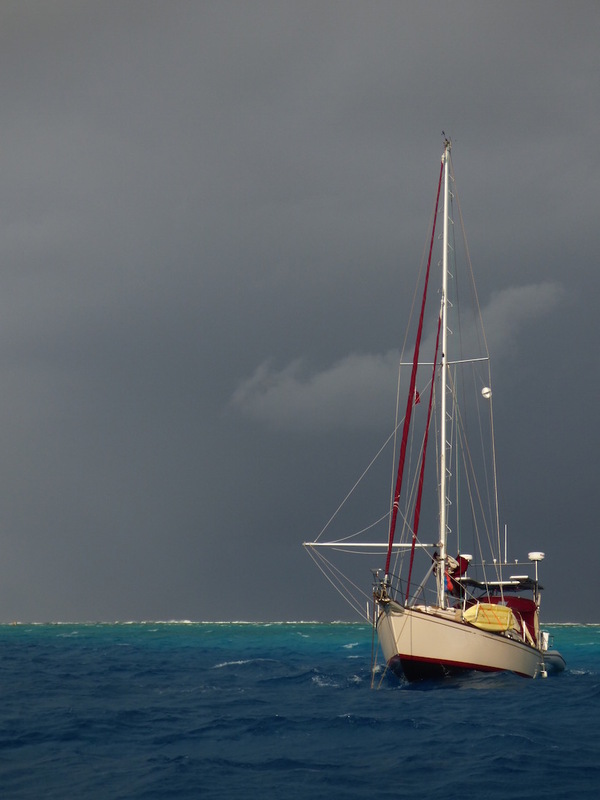 Not many sailors get the chance to arrive at a semi-sheltered reef over 250 miles away from any landfall. Minerva Reef is an amazing place (more on that in future posts). We feel honored to be one of the relatively few boats able to make it here – even if we were spending it “stuck” for a week and a half, waiting for the right weather conditions to make it safely to our ultimate destination at this cruising year’s end, Opua, New Zealand. Bob’s comment, when I ‘fessed up to the reasoning behind all the follow-up questions and qualifiers for every answer he gave? We left Minerva Friday the 13th (we're not superstitious) of November, 2015, when we felt the breeze begin to build. The passage took us 8 1/2 days. We slogged a couple days. We had uncomfortably high winds for a couple days. Some of the time, the winds were perfect. 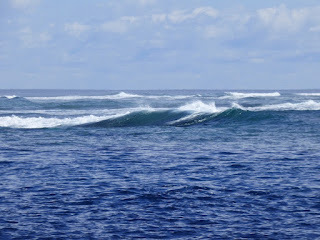 We motored a couple days -- particularly as we were determined to get in before much higher forecast winds were about to strike. 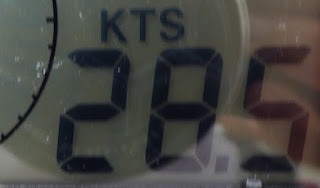 The highest wind we saw was 28 knots, less than 4 miles from Opua. we exited, and checked in with everyone there by VHF radio. Nice to know they're there. Ironically, Megan and Chris of Tangatatu, who convinced us to wait, left November 10th. That was the day we planned to leave before Megan talked us out of it, insisting November 13th was far better. She was concerned about the impact of tropical storms off Fiji. Gamble left the day before us and arrived two days after. Armagh, a much faster boat than ours, left a few hours behind us and arrived the day before us. Opua New Zealand, >4 miles before docking! "How was your passage?" 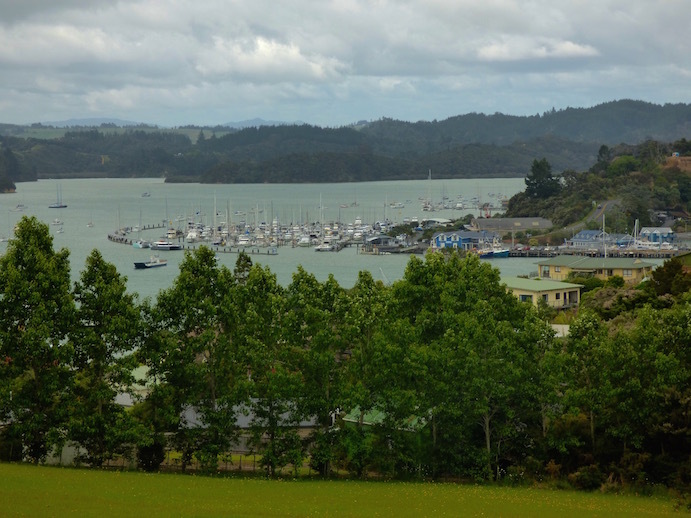 is the most common question amongst cruisers meeting in Opua. 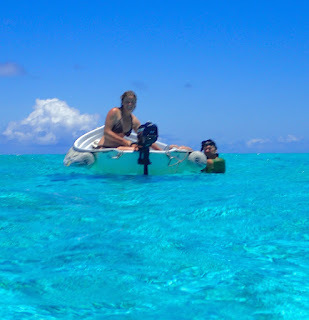 As we compared notes with other cruisers, we realized we had about the best possible passage we could have with the boat we have, certainly far mellower than most other cruisers we talked to. Our answer evolved from "rough" (waterlogged, with torn sails, etc.) sheared to "we're glad we're here!" to "once of the better passages, from what we hear!" Opua Bay of Island Marina, our first New Zealand landfall. We are currently anchored nearby. Recent retrospective of our time at Minerva Reef (S23.39.253 W178.53.770), November 4-13, 2015 and passage to Opua (S35.18.826 E174.07.312), arriving November 21, 2015. 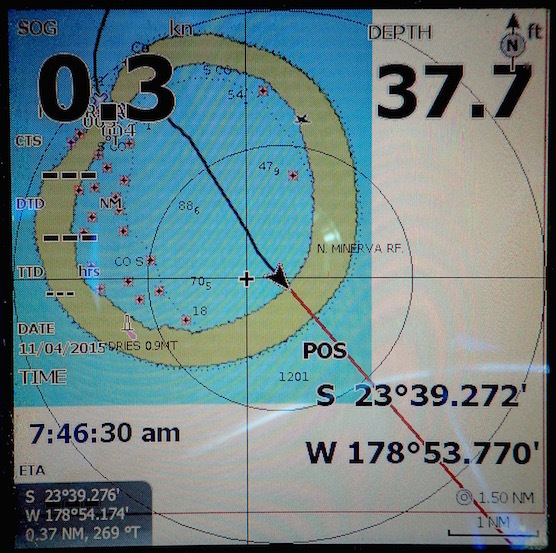 We moved onto anchor Nov 29 2015 near Russell, New Zealand and are currently in Waitata Bay (S35.15.313 E174.07.974). Cruising By the NumbersSince we left Jacksonville Florida in December, 2014 -- less than a year ago -- we've sailed over 10,000 miles!